Just like her gran, Cassia Winter is a witch. The Winter witches are responsible for investigating crimes in Brimstone. The only problem is, Cassia doesn't know she's a witch yet. Cassia WInters is a witch, but she has suppressed that side of herself since she was young. Cassia's Gran investigates crimes in Brimstone, but when a tragedy occurs, Cassie is called into investigate. Cassie doesn't believe her gran when she tells her she's a witch, but upon entering Brimstone, her memory comes back bit by bit. This was really good. There were a few plot holes but nothing that took away from the overall feeling of the book. The plot was relatively fast paced and entertaining. Cassia has blocked all the magic out of her memory, which I didn't really understand how she could have! But things start coming together and you see bits and pieces of her life. I loved the idea of Brimstone, and how you get there, I loved learning about the other magical creatures too. I also adored the cats!!! The cat visiting the funerals!!! Lol. In all, a fun and engaging read. It's a good start to the series and makes me want to listen to more. I enjoyed all the characters and can't wait to see more of them. Kitt Sullivan did a good job. She was easy to listen to and clear. I felt like she needed a few different tones for the male characters though. I also wanted a little more inflection and excitement from her performance. Love this book. It kept me entertained throughout the book. I just love the talking cats. Kept me guessing who the killer was throughout. What a surprise to find out who actually did it and why. I look forward to more in this series. I received this book free of charge in exchange for a honest review. As an avid reader/listener of audiobooks , I have to say I really enjoyed this fun quick read. The world that Ms Fernsby writes about sounds absolutely magical! All of the characters were interesting and well developed. And our MC, Cassia, is a sweet young lady that we can all cheer on. This story had many different stories going on within the book.. Cassia finding herself - deciding on a career, looking closer at her romantic relationships ; Grandma exposing the family secrets ; and so much more. Some parts were a bit irritating, like the boyfriend .. but each story must have it's villains. I just somehow doubt a girl as cool as Cassia would put up with him as much as she did. Well written and well read. Gran and Cassia are warm, charming characters you can't help but love. 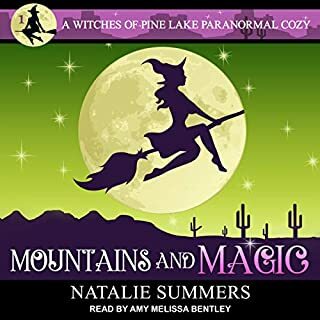 The murder mystery is complex enough to keep you interested and the magical village and it's supernatural inhabitants are interesting and believable. 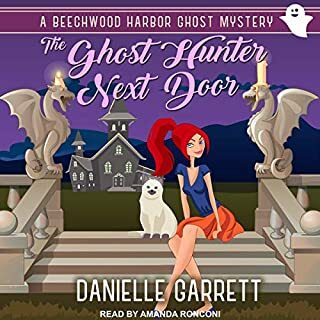 I would recommend this book as a great afternoon's entertainment for anyone who enjoys cozy mysteries with a paranormal flair. When I first saw this on Audible, I added it to my Wish List. I was honored to be rewarded with a promotional copy and this review is freely given with my praise and depth of gratitude because it surpassed my expectations. The characters were a warm bunch. The main character was innocent and grew. Her grandmother was cranky and funny and at times, a half-cracked nut. The plot was wonderful and truly a refreshing take on the paranormal creatures. No stereotypical eye rolls or sighing, here we go again in this piece of art! Although the MC &quot;discovers&quot; she's a witch (I'm almost sick of this played out angle in books! ), she comes into her powers and the climax isn't the way-out-in-left field, too incredible and unrealistic. It was subtle and fitting. The narrator was perfect for the whimsical vocabulary and descriptive phrases. I fell in love with the writing and immersed in Brimstone. The last scene (the guest at the door) could have been cut. *That* was a bit over the top. 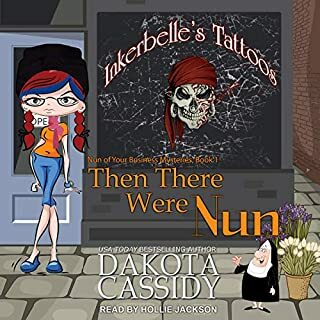 This is a top-notch audiobook from a skilled author and narrator. It's an outstanding first-in-the-series stand alone book - another glowing star, as far as I'm concerned. I'd completely recommend this book, as it's in a class of its own, standing high above the others in this genre. Wonderful characters, Page-turner, Great world building, Unpredictable, Original, Easy-to-read/listen, Entertaining, Action-packed, Funny, Whimsical. contemporary, elves, fairies, fantasy, humorous, magic, mystery, nonhuman, read, recorded, series, shifters, suspense, witch, wizards. 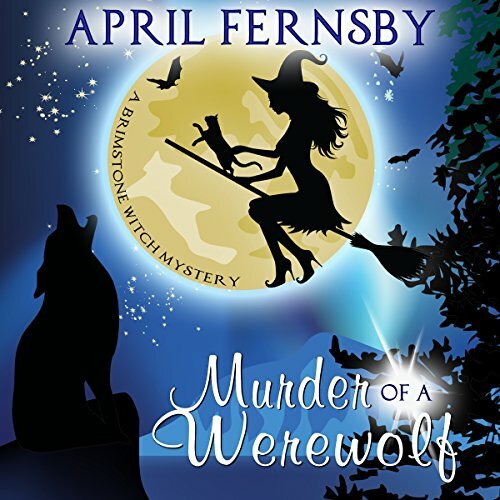 Murder of a Werewolf is a fantastic first in series. The story is fast paced with in depth characters that will captivate you from the start. The narration is also on point. I look forward to more in this series. April Farnsby had crafted a pretty good book for the first in the series, with an original storyline. Kitt Sullivan did a good job of bringing it all to life. I was given this free review copy audiobook at my request, and have voluntarily left this review. 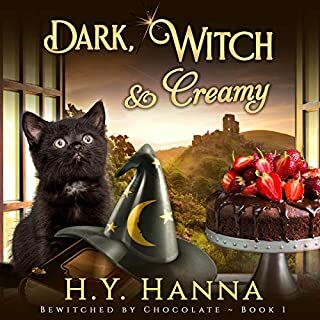 I found this quirky tale of witches very enjoyable. It had all the fundamentals to make a good mystery, throw in untrained witch and very unique charaters, you have a good mystery with lots of twists. It made my trip go so much faster and I'll be checking out more books from this series. 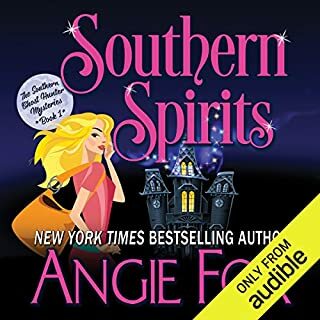 April Fernsby is a new-to-me author; I found her writing style easy to read, the cast of characters plentiful, the plot was fast but engaging and I loved her thesis for this series - a magical town of Brimstone that's residents are all mystical/paranormal beings. I love reading stories where our heroine is intelligent, resourceful, resilient and has oodles of gumption; Cassia isn't there yet in this book but I think that as the series progresses she may become so. This book is comfortably within the cozy mystery genre; there are absolutely no scenes that could cause offence. The mystery itself is far from sophisticated however it's not without its twists and turns. I downloaded the audible version of this book and alternated between reading and listening. Kitt Sullivan's performance was good; I liked the pace at which she narrated the tale and I appreciated the different voices she used when reading the dialogue even if some of the male ones didn't quite work for me. I found this really slow to begin with, but it was an interesting read. This is a type of book that would be good as a film then a book in my opinion. 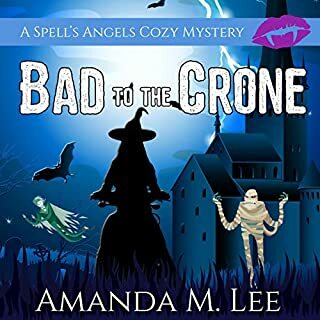 I would still recommend this if you like cozy mysteries with fantansy put in the mix. There is no profanity or sexual content. There is some mild violence.